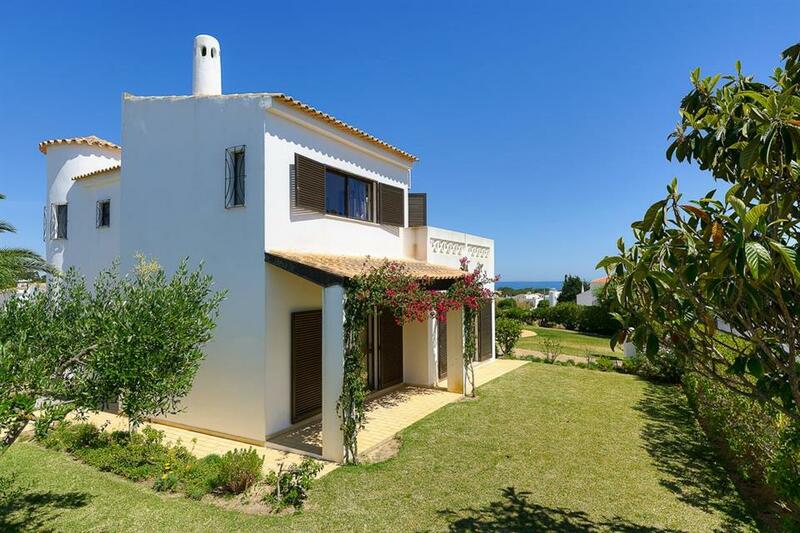 A modern detached villa located within walking distance of the beach, shops and restaurants of Castelo and Coelha beaches. Just a short stroll from the seaside village of Castelo and with impressive panoramic views, Villa Severino enjoys the serenity of a relatively rural setting whilst being within walking distance of the sandy beach, shops, minimarkets , restaurants and cafés. A welcoming, luxuriously spacious home for families, the open plan living area is bright and modern with two sets of French windows that open onto colourful gardens. The upstairs bedrooms benefit from having access to a large balcony. From this privileged vantage point far-reaching views stretch out over the village of Castelo to the sparking sea. Externally, the attractive gardens and lovely private pool create an oasis which you will find difficult to leave, however getting out and about could not be easier. A ten minute stroll takes you down to the village and sandy beaches of Castelo and Coelha, whilst a drive of less than ten minutes brings you to the bustling old town of Albufeira. Villa Severino is over two levels, with the entirety approach to the front door via 3 steps, the front door has a width of 76cm, the ground floor has no internal steps in and around this level, the ground floor level comprises of one En-suite bedroom with 69cm and 65cm doors widths respectively. The approach to the pool area includes five steps down to the this area, entry into the pool is via 4 roman style steps at the shallow end which is 90cm there is a ladder to use at the deep end which is 210cm. Fantastic views and pool area. Villa spotless on arrival and good information provided. Villa and ground area was all you want for your stay. Pool very large and Villa was an easy walk to bars and restaurants. 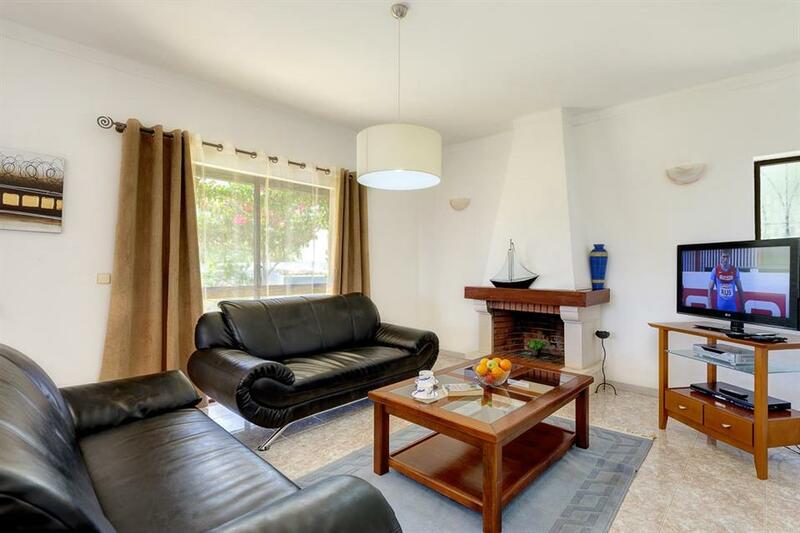 The villa is very clean and set in beautiful gardens in a quiet location. Great location and lovely garden. Good location, plenty of garden space. We liked the pool, the quiet, the view and cleanliness. The villa is well located and close to Albufeira but not too close (so good). Rated Good - The villa was in a lovely quiet area. The grounds were large, Inside the villa it was very spacious and quite well appointed. All in all this is a nice villa which is conveniently placed with beaches and some lovely restaurants. Would return again. 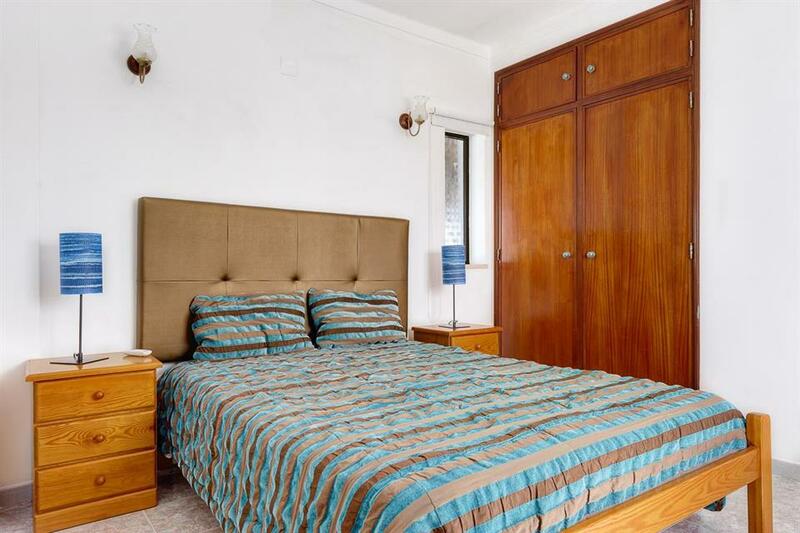 Very spacious, huge outdoor terrace and pool and very well equipped! Very spacious villa with views to the sea. Set in a quiet cul-de-sac within walking distance to the beach and a good selection of local restaurants. Rated: Excellent. Very spacious villa with views to the sea. Set in a quiet cul-de-sac within walking distance to the beach and a good selection of local restaurants. 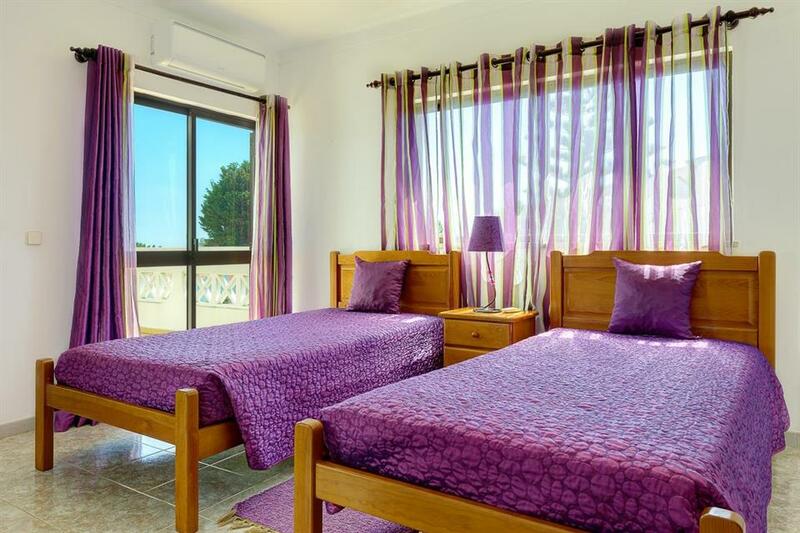 Rated: Excellent Very spacious, huge outdoor terrace and pool and very well equipped! Excellent. Spacious villa with great view of the sea. 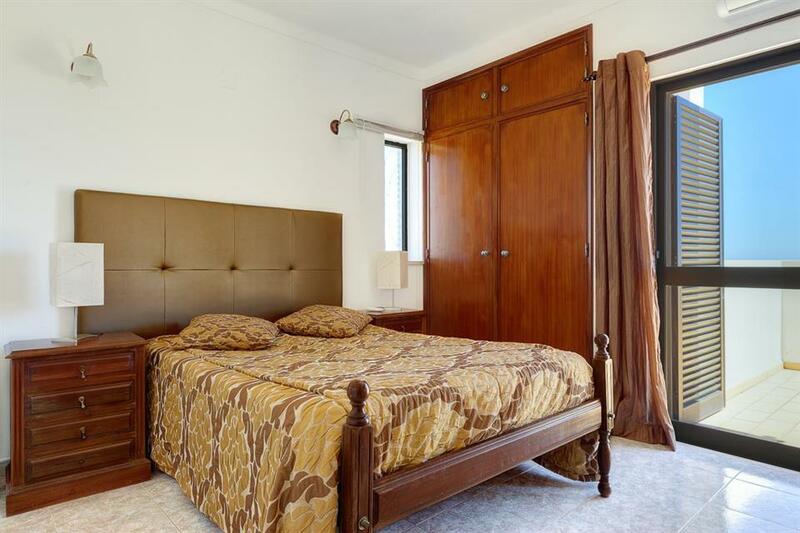 Set in a tranquil area close to restaurants. The garden and pool were lovely. Rated: Good Villa was very nice, pool was excellent. We had a very good and relaxing holiday. Rated: Ok. The garden and pool were lovely. 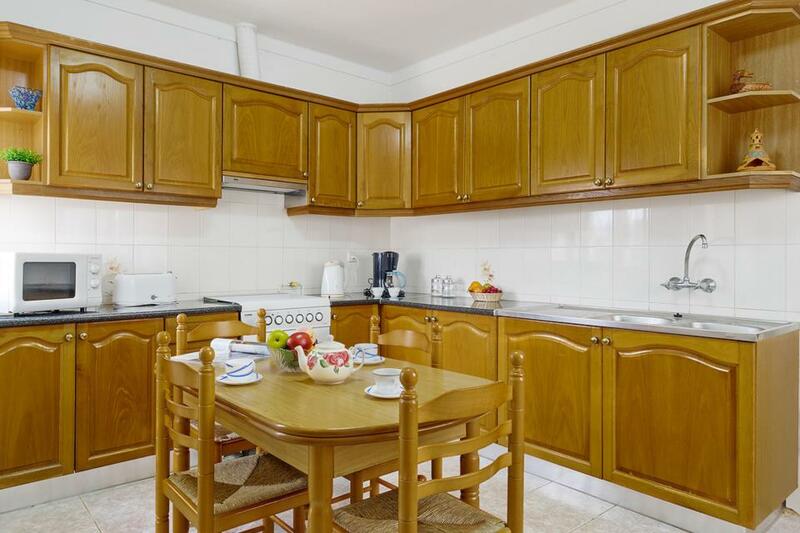 Good location walking distance to restaurants and supermarket. 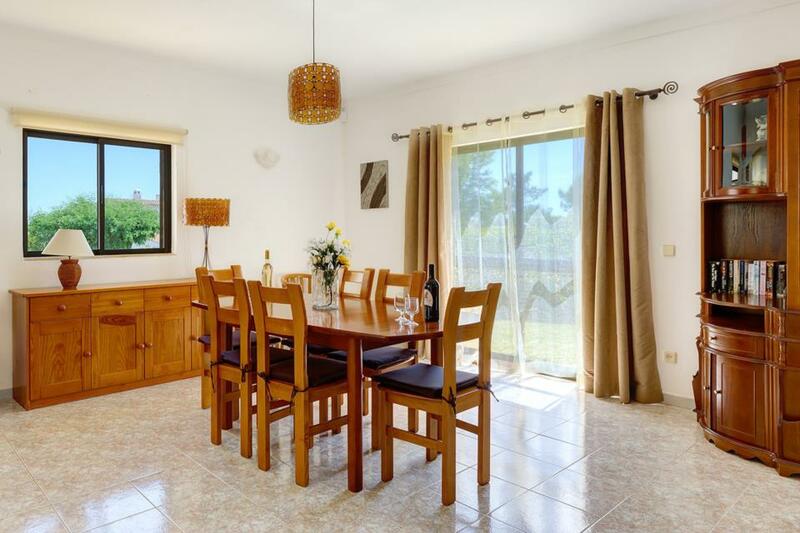 Very short drive to numerous beaches and 10 minutes to Albuferia. 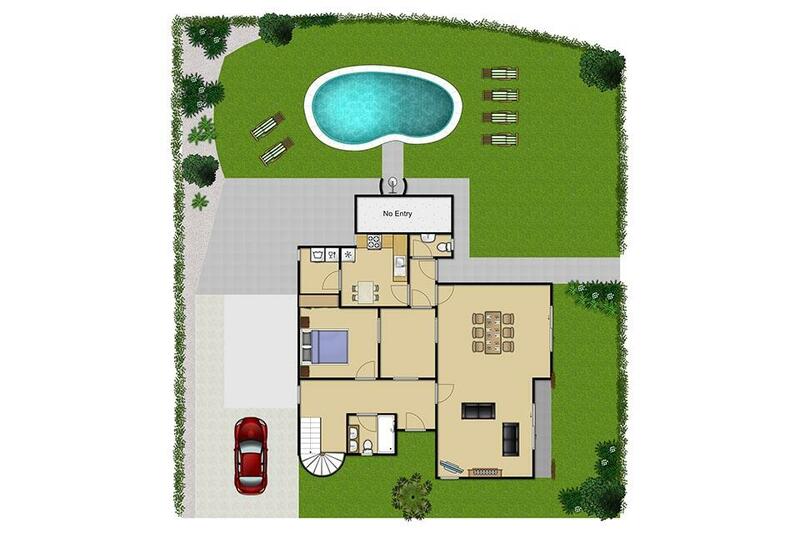 Spacious villa set in its own grounds. Pool is excellent. Linen and towels changed regularly. All bedrooms have air condition? Villa Severino was perfectly organised and functional. It was clean and had all the facilities we needed. Rated: Good Good location walking distance to restaurants and supermarket. Very short drive to numerous beaches and 10 minutes to Albuferia. Spacious villa set in its own grounds. Pool is excellent. Linen and towels changed regularly. 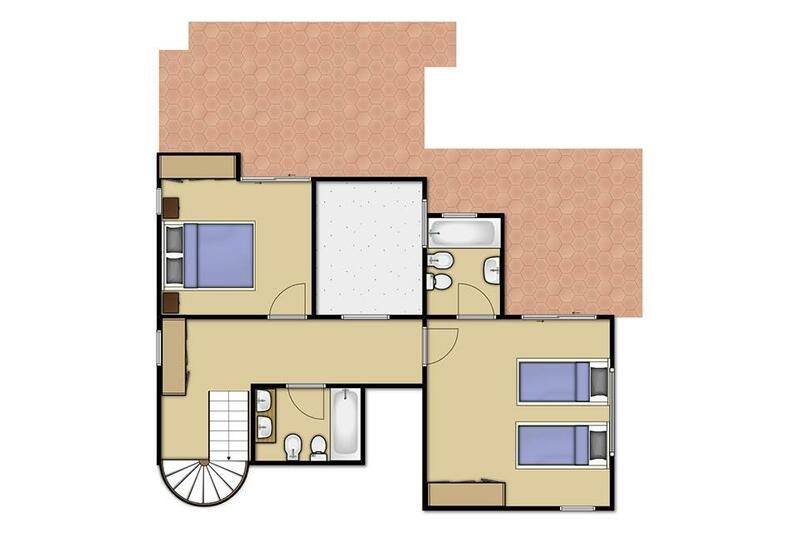 All bedrooms have air conditioning, fans provided in lounge, kitchen and dining areas. 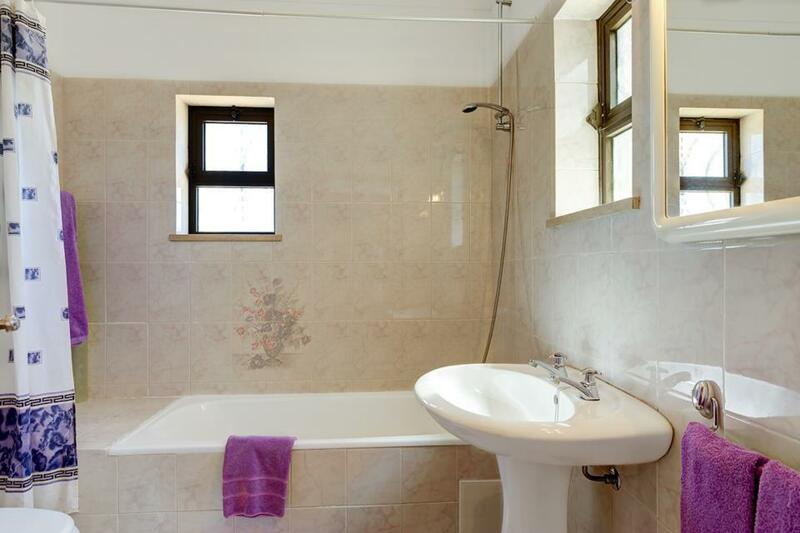 Bathrooms adequate with copious amounts of hot water. Negatives include FIRM mattresses, no access to UK satellite stations and oven is very tricky to operate. 2 sets of property keys would also have been beneficial. The local management of the property was excellent and any issues were addressed immediately e.g. replacement of faulty kettle, hair drier and empty gas bottle. Overall we enjoyed our 2 week stay in the villa. Rated: Excellent Villa Severino was perfectly organised and functional. It was clean and had all the facilities we needed. 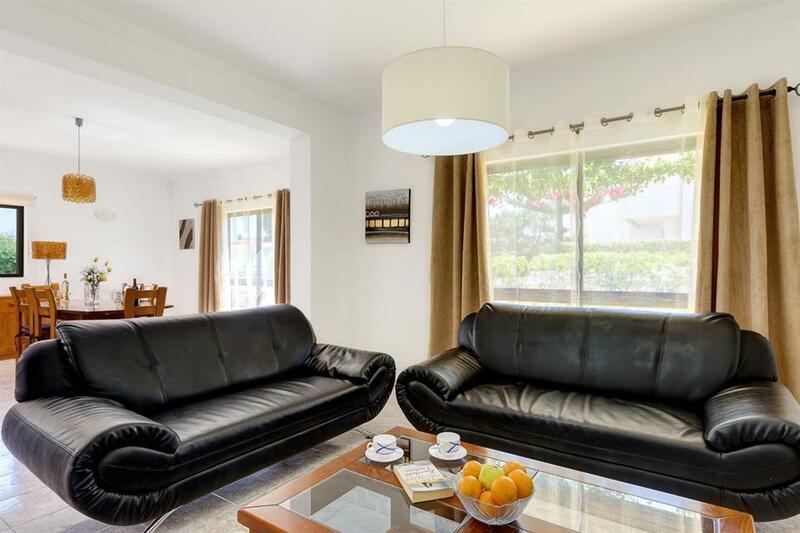 This is an exellent villa Outside, from the covered terrace, steps lead down to a spacious sun terrace and the feature 10m x 4m swimming pool, which benefits from roman steps and has a poolside shower. Patio furniture and a brick built BBQ are provided to enjoy Alfresco dining. A rather special feature of this villa is its full size private tennis court set in the grounds beside the house. You can enjoy as many games as you wish without interruption. The villa has mature, ornamental gardens with off road parking is available for at least three cars. The roomy accommodation is accessed through a solid wooded door to a lovely hallway that leads to a large sitting room / dining room through a feature archway. There are a number of comfortable settees and chairs, an enclosed fireplace, sideboard and coffee table within the salon. Entertainment is provided here by way of a Digital Satellite TV, DVD player and Hi Fi system. A second archway from the dining area leads to a large fully fitted breakfast. We found the villa very well equipped and absolutely spotless - the pool and gardens were also very impressive. The flights, carhire and directions to the villa were all fine we would have nohesitation in using Solmar again. Rated Excellent. Very good information and very helpful.Nice villa for family holidays, very safe and secure. Rated Excellent. 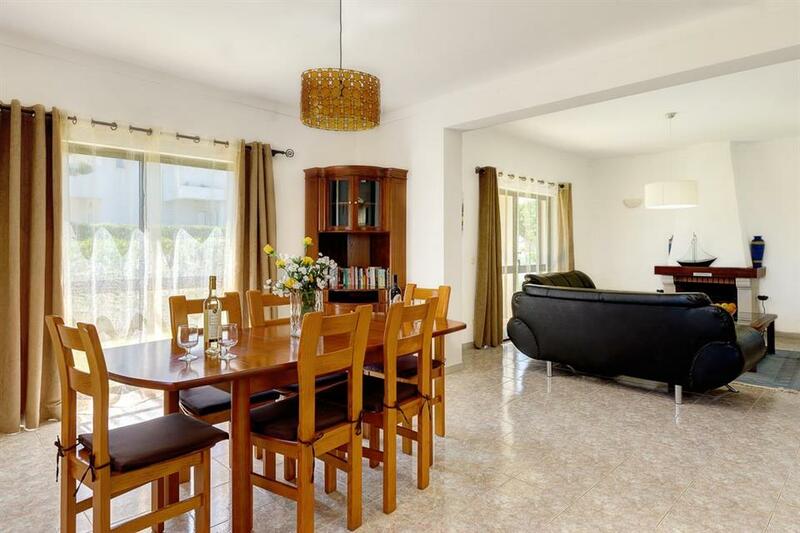 Very comfortable,spacious, well equipped villa. Very peaceful but within walking distance of resaturants, shops and beach. Myself, hubby and grown up daughter stayed at this villa the first week of October 2012. Its in a great, quiet location with some fantastic restaurants within 15 mins walk. You have 3 beaches with 20 mins walk, which are clean and interesting little coves. 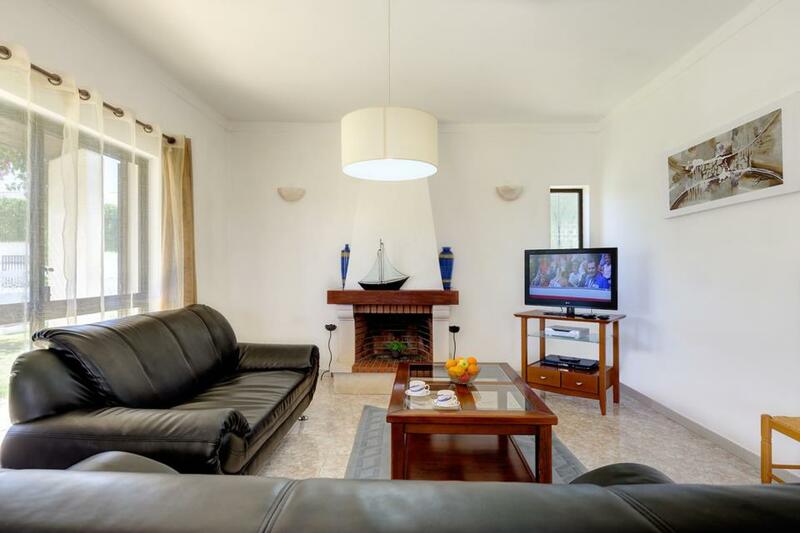 The villa itself is spacious and the grounds are large so plenty of room to lounge around. The views from the villa are great. We booked through Solmar Villas and they were extremely helpful and the directions etc were very good too. Rated Excellent. The Villa exceeded our expectations and the photo's do not do it justice! A very quiet area with beautiful beaches a short walk away. I went with my 1 year old and found everything to be very child friendly. We had a wonderful time at our villa and will always consider a villa holiday in the future. A rep visited us the first day and gave us information / maps / bus timetables / location of super market / taxis which was really helpful - we may have struggled without her visit. The villa was very clean, nicely decorated and didn't look at all tired. The location was quiet (which we liked). The pool was clean, garden nice. We couldn't really fault anything. We enjoyed the holiday and the villa was fine, the place was clean and comfortable. On our arrival we shopped for provisions easily at the local Continente and found a good lunch in the food hall in the shopping mall above.We can recommend a trip up to Monchique for the view and pleasant drive. Excellent 10/10 for quality and location. I am sure we will book again. I would happily recommend it to anybody. We had a great time we found the villa had everything we needed for a lovely relaxing break, we had everything and more than we had in other villas we have stayed. We found the transfers a great help and would reccomend future visitors use this service. The pool was cleaned regularly and the ladies who came to clean were very friendly and efficient. We found yourself to be very helpful and also everything you said you would arrange you did and so thank you . Very pleased with our last booking with you we hired a car and toured the algarve from east to west car hire very important the overall service you provided was first class we tended to eat on our days out sampling the food at different locations.we are now in fact in the process of looking to book a two week villa break in the costa del sol with you at the moment we are checking all flights for the best deals so we should be contacting you in the very near future. Yes, we found your organisation very good and all your arrangements worked. We found the Villa, facilities and the pool excellent. We found the local Castella beach excellent with the cliff top walk going west very exhilarating. I would not hesitate to use you again and would recommend to others.